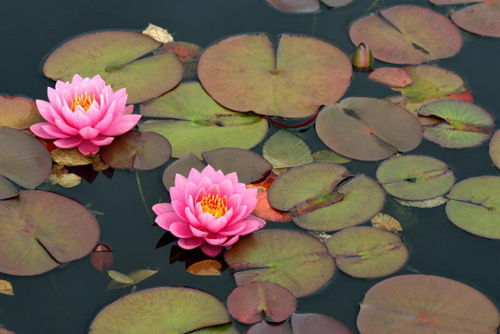 One of the questions that comes up frequently is how to actually begin a meditation practice. Since Creation Meditation is a two part practice, with meditation as an essential component, learning how to meditate will significantly deepen your spiritual practice. Although both practices (meditation and creativity) are equally important, there are some important beginning steps to know about meditation. It’s important to know that meditation is all about observing yourself. The more you grow the ability to watch yourself, the better you’ll be at returning to the breath. Meditation is really not even so much about “getting quiet” or “emptying the mind”. Instead, meditation is a practice of learning how to stay in the present moment by bringing your mind back to one point of focus. In so doing, you also develop the ability to passively observe what’s passing through your consciousness, such as the thoughts, ideas, feelings, etc. When attention is not jumping from one thought to another to another, that’s when it will feel more quiet. That’s when your mind will feel at rest. So, meditation is not so much about emptying your mind. Rather, it’s learning how to detach your attention from the contents of your mind. The content will always be there. Thoughts, ideas, feelings, images, intuition are forever arising. There’s no stopping that great spring of energy that is forever arising in your mind! 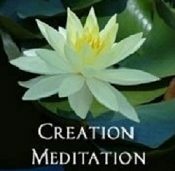 But, the point of Creation Meditation is to learn how to focus (meditation) and then learn how to cultivate the power of that inner Spring (creativity)! So how do you meditate? Alright, you’re going to want to first find a posture that’s comfortable for you. Next, choose a point of focus. That can be the breath or a word or a mantra. Then, the great challenge is to stay with your point of focus. It’s a very simple task, but it can be difficult. Yet, the more you shift of your attention away from thinking and back onto the breath, the more you’ll find yourself in the present moment. And the more you can stay in the present moment, the more you’ll have access to the great power that lies within!